Please wait while all the pictures load. Want to make something like this? Follow this simple tutorial, and you’ll be on your way to making one yourself! 4. 3 5mm Ultra Bright 3V LEDs at 20mA. Whichever colour you want. Go to Sim Lim Tower and get your materials. 😀 how to get there? Click me! 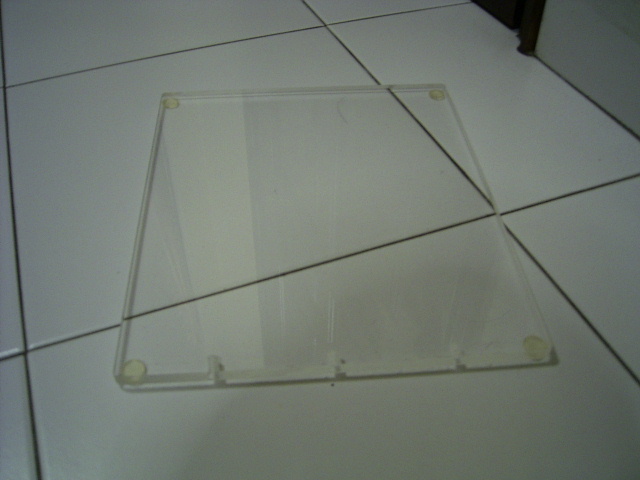 Get your acrylic, and saw it to the size which fits your mouse pad. Mine is 23x27cm. 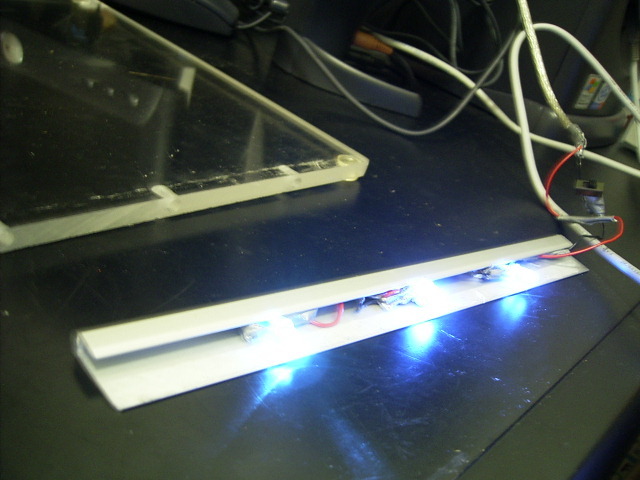 Remember to leave at least a 1cm border to allow filing and to insert you LEDs. Once that is done, get your 5mm drill bit and power up your drill. 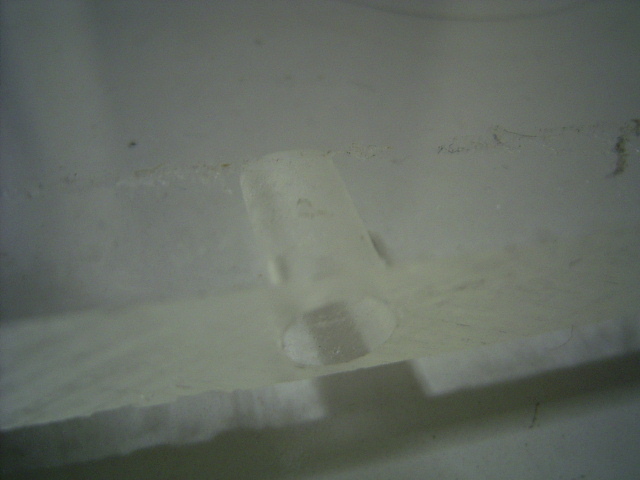 Drill 3 holes, preferably spaced apart equally in the acrylic. You don’t need to go so deep. As long as your LEDs can be inserted in, it’s fine. 1. About this depth would do. Remember not to take off the protective covering until project is complete. It is to keep away all your greasy fingerpints and keep the scratches. Splice up your USB cable. There should be 4 wires inside. We only need 2. Red and Black: The 5V power supply we need! 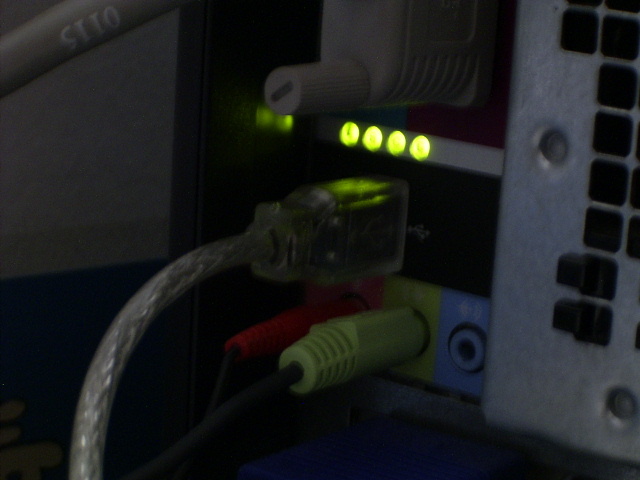 Green and White: Data Wires. We won’t need that. Try to keep it as neat as possible. Once done, solder them together. 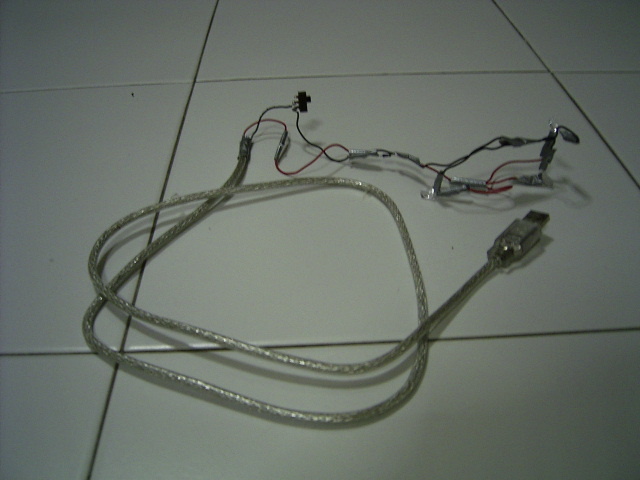 Tape the soldered ends up with insulated tape to prevent shorts. Take care while using the Soldering Iron. It is HOT 😀 and the fumes are smelly. 1. Everything wired up and soldered. 2. 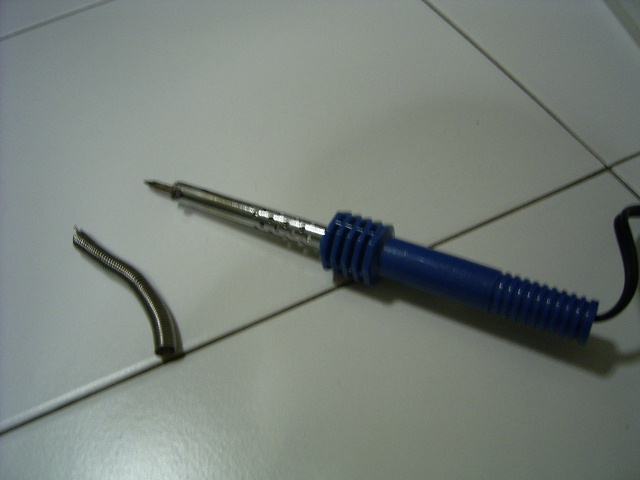 Soldering Iron and the soldering lead. It lights up! Ultra blue! I used double-sided tape to stick the aluminum bracket to the pad. Stuff all the messy wiring into the bracket. (Now looks much better eh?) You can use glue, but for now, it sticks like cement! Try not to use a permanent bond. For maintenance purposes. 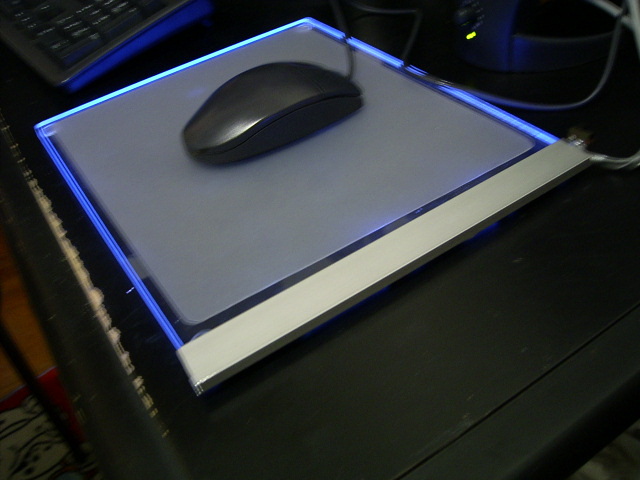 Now all you need to do now is to remove the protective cover, stick the 4 rubber legs and add your mouse pad on it. It should look like this now. I just love that cool frosty feeling. Haha. 1. View from top! 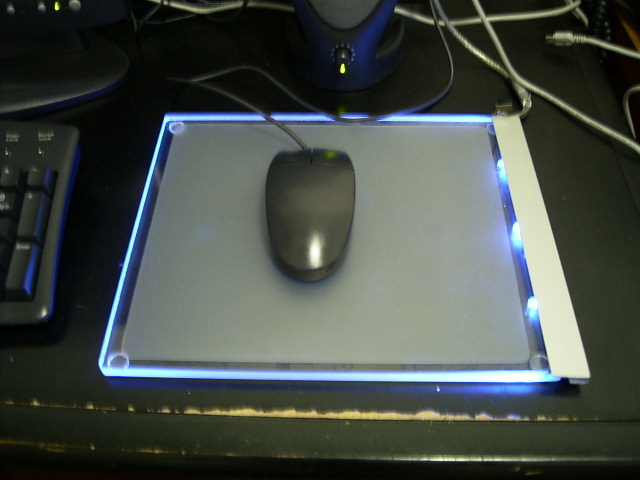 Your completed glow pad. 2. The aluminum bracket hides everything! Now isn’t it beautiful? It is completed! *nil items are those I already have. I hope you enjoyed this tutorial. Look out for more! *All price above are in SGD – Singapore Dollars.